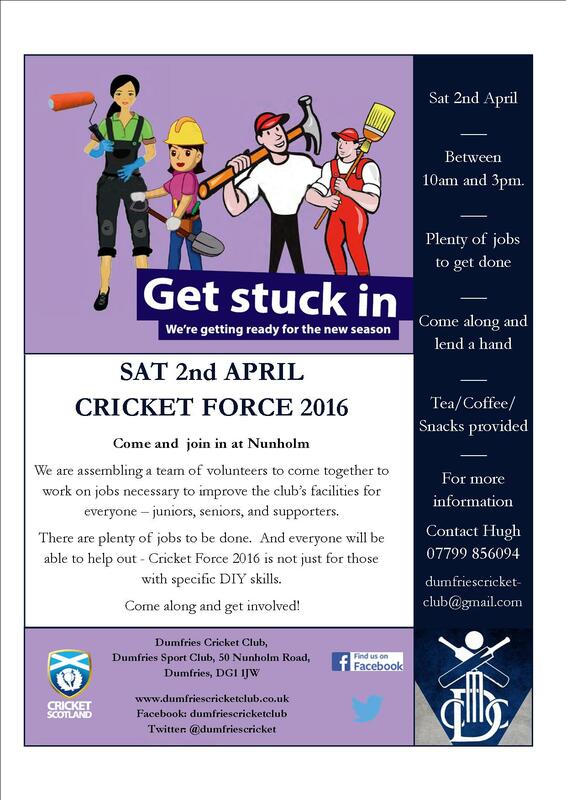 Come along and lend a hand; plenty of jobs to be done around the ground; Sat 2nd Apr; 10am-3pm; tea, coffee, and snacks on offer. We are assembling a team of volunteers to come together to work on jobs necessary to improve the club’s facilities for everyone – juniors, seniors, and supporters. There are plenty of jobs to be done. And everyone will be able to help out – Cricket Force 2016 is not just for those with specific DIY skills. So come along, join in, and get involved.